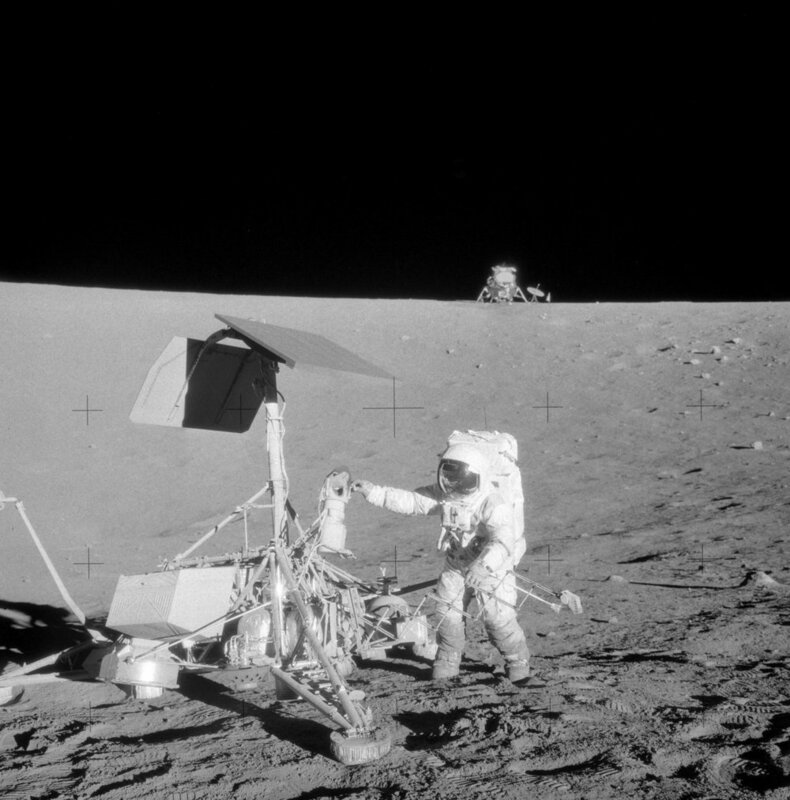 Alan Bean at Surveyor III. Apollo 12. Moon. 1969. After Apollo 11’s spectacular first landing on the Moon in July 1969, Apollo 12 followed on in November. The mission made a very precise landing in a more complex terrain next to the Surveyor III, that NASA sent to the Moon two years earlier. We're offering a 11x11 inch print of the photograph, matted to 16 inch wide board and ready to frame for $195, framed in silver for an additional $100, wood for $250. Larger prints will come rolled, un-matted. This print at this price is offered through February 28. We'll be taking orders until then, and shipping them out by March 15, 2019.